CURT quick links are an extremely versatile and reliable tool to help you get to your destination and go a little further once you get there. A quick link is essentially a hook that is able to be fastened into a closed loop. 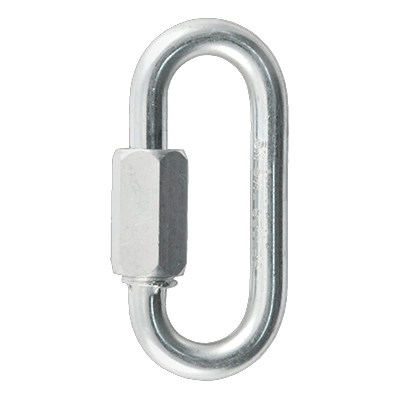 This means it can be linked onto any D-ring or tiedown anchor like a hook and just as easily secured like a seamless link in a chain.